L.A. Arts District Once Had Artists! L.A. oozes talent. It’s where some artists come to die… on stage over and over, like a Buddhist who just can’t get it right. So you’d think there’d be some abandoned buildings somewhere for them. A place where they could suffer as artists must. And there was. Many years ago in what is today’s L.A. Arts District a few artists kicked out the rats and began taking over empty, decrepit warehouses and factories. These were buildings that had been victimized by America’s 20th Century boom-and-bust economy. By the time the city found out about the human infestation, it was too late. The artists had garnered enough attention from the press and support from their moneyed art-collecting sponsors to become a political threat. So, instead of throwing them into the street, L.A. built an arts zone around them. At least that way the city could charge them a little rent. And besides, the city reasoned, an occupied building was better than an unoccupied one. With time, entrepreneurs began pouring money into the dark, dingy spaces. They converted some into clean, well-lit galleries. These attracted wealthy collectors who loved coming down to enjoy the gritty, urban neighborhoods. The zone was a success. But success for some was not success for all. And not all the attention was on the art. Urban living was becoming a trend among young professionals. And investors began buying some of the buildings and converting them into lofts for young professionals wishing to experience gritty thug life — but without the grime, crime and brother, can you spare a dime. In time street walkers were replaced by dog walkers and the former crack hovels began to sell $8 lattes. Struggling artists could not struggle enough to pay the new rents and left in the night. Start ups soon replaced them. New start ups sloppy with money employed accountants and marketers and their assistants whose dollars attracted high-end eateries and microbreweries. These establishments promised farm-to-table vegetables and only the finest meat, butchered from free-ranging animals who, in life were as pampered and coddled as the fresh faced 20-somethings who would now be dining on them. These restaurants no doubt alluded to “the sacrifice” as a non-violent, calm process involving Ambien, soft lights and classical music in the background. And with that the arts district had been won, like the wild west. No longer would one be subjected to foul odors or decent priced coffee. Meter maids now prowled streets that once caused even the most seasoned beat cop to pause and count the days until retirement. Crime is nearly nil. The homeless have been moved a few blocks down. And the weathered brick walls have been slathered with tasteful yet bland interpretations of street art. But late at night one can still hear the small abused wheels of a distant shopping cart, pilfered and filled with plastic. Siren blasts, their clamor echoing against the brick and glass. And the lamentations of a madman somewhere in the darkness venting his frustrations. This entry was posted in Uncategorized on June 3, 2017 by ricksamer66. It’s job interview day and I’m wrapping a peppermint “strangle ribbon” around my neck. Out of the three hundred jobs I applied for, only one company has asked me to come and see them. It’s a job of halves: half the pay of my last job, half the hours and even coworkers who are half my age. But it offers full health benefits and I can practice my Japanese. It’ll be great if I can just find a real job later to go with it. But that’s not to say I’m in high spirits. Breakfast is the bitter bile of disappointment, self-loathing and the burning rage I feel for fate, karma or whatever it is that has dropped me into this middle-aged conundrum. I put on my game face, try not to seem excessively psychopathic and head for the office. The interview is alarmingly short. The HR guy tells me that if I don’t hear from them by the end of the week, they’re no longer considering my application. The realization that I’m not even worth a patronizing mass email drops my mood down another floor. We say our good-byes, and he’s cordially unfriendly. Hope has drained from me, leaving a sticky puddle on the dirty carpet. Feeling dejected, I walk slowly to my car, a 20-year-old hand-me-down Toyota. I’m dragging with me a nagging fear that these are the early days of long-term unemployment. The thought fills my head like a loose bowel fills a toilet bowl — I long for a silver lever to flush it all away. Sadly, I find none. I return to my apartment where the long afternoon shadows await. I fight the urge to lie down and drift away into a safe sitcom solace. 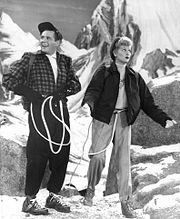 It would be so nice to douse the frenetic fear and weighty laments in my head with the banal banter of those trapped celluloid marionettes of 1950s T.V: Lucy and Ricky. How relaxing it would be to hide under the covers and let late Lucy sweetly torment dead Ricky for dead audiences. So easy to switch them on and switch myself off. Let them prance upon the stage while I play the corpse, fading back and forth into dreamless unconsciousness, savoring a few moments of psychic peace, far away from my own endless loop of worry and regrets. Instead, I grab my running shoes, slather myself with sun block, and head for the beach to punish my feet. As I run, the endorphins kick in and my outlook brightens. It comes down to fortitude. I have to remain positive and keep trying. Succumb to the comfy bed and pillow and all will be lost. This entry was posted in Uncategorized on April 21, 2017 by ricksamer66. It’s 4:30 a.m., and I am still prowling the streets of South Bay waiting for passengers. It’s been a slow night and I’m trying to meet my personal revenue goal. In a few hours it will be light again, just like it was when I started driving the day before at 4 p.m. The Lyft app buzzes and I am quick to accept the ride on the app. It’s in one of the more come-as-you-are neighborhoods of L.A. so I am a little apprehensive. It would be easy for a criminal who has stolen a credit card to lure me in and then steal my car. But even the criminals aren’t up this early, I tell myself. I stop at the address and I see a shadow walking towards me. It’s a young, Hispanic woman, barely 20. I unlock the doors and she hops into the backseat. She tells me she’s going to work at Target. She’s petite but will be unloading trucks for the next eight hours. On the way over, we talk. We share how circumstances have placed us here in the shadow of LAX heading for a target store so early in the morning. The unemployed, desperate-for-work middle-aged guy and the very young single mom without a car. She tells me about her one-year-old before I drop her off. How her daughter had been so excited to see her that she wouldn’t go to sleep. But with a bath, mommy won. Her story buzzes in my head as I head for home. I remember my earlier passengers: three drunken white girls about the same age as her. I drove them from the bars in Hermosa Beach back to a large home a short distance up the hill. They giggled and shrieked, happily recounting the evening’s fun. They stumbled from my car, sloppily closed the door and soon disappeared. This entry was posted in Uncategorized on April 14, 2017 by ricksamer66. It’s 38 degrees and 3:45 in the morning. I am feeding suitcases and bags into a Boeing 737 via a belt loader — a conveyor belt on wheels. The loader slowly carries them up to my colleague who sits just inside the forward cargo hold. I toss an odd-sized piece of luggage onto the belt. The move tightens my 50-something year-old back, shock-signaling a warning. My first week on the job and my body is already pleading me back to an office, a nice warm cubicle somewhere with coffee down the hall. I throw another bag. Above me passengers seem to glow as they settle inside the warm well-lit cabin, oblivious to my pain. The sup yells “let’s go.” to us. He screams it again, trying to be heard above the mighty spooling engines and through our ear protection. Things are often repeatedly incessantly on the ramp until the listener signals understanding. Here we are all a little deaf. Finally, the choreography begins. The tow-bar guy connects the tow bar to the aircraft’s front landing gear and the sup gets into the tug. We fan out to wing walk. Inertia is overcome and the tons of steel begin to push back away from the terminal. The tow bar is released, and the tug moves back and away from the aircraft. Its sentient cargo stir. Like war drums, the engines scream louder and louder as we scurry back to the terminal’s safety. The engines are now too dangerous for us to be near. They scream their warning, blasting cold morning air more and more forcefully until the 5:45 begins to roll down the empty runway. Soon, nearby low-rent neighborhoods will get their wake up call. The mighty Phoenix has risen, and it will continue to do so eight more times today. This entry was posted in airline, travel, Uncategorized and tagged airline, humor, jobs, travel, work on December 21, 2016 by ricksamer66. Today I woke from hours of unconsciousness. A fatigue from hours worked before the dawn. Body confused, I found my way home across dusty Southern California. Drought has atomized the earth, and it swirls and breaks against our cars as they move westward across warm, pale asphalt. A slight detour to pick up my son from college. He gets into our car, that much closer to home, and speaks briefly of his week. We move ever westward, like pioneers, towards the cooler climes near the Pacific. We stop at a Subways near our house. a small Hispanic woman is there to serve me. I hate Subways, too much interaction. I want the default sandwich. There is none. I have to go through the Subway way. Do I want cheese? What kind of vegetables? Do I want the set, which include potato chips and a large fountain drink that I fill myself. The grandma, in all grandmotherly earnestness follows me as the assembly line sandwich grows and grows. To our left, a tall, younger Hispanic woman with two small steel pins in her full lower lip, helps my son. Our sandwiches done, my son and I return to the black, dirty car and make our way the short distance home. I grab a can of coke and drink it with half of the turkey sandwich. My son disappears. I fall asleep from the days work without even knowing I was gone. It is dreamless and black . I wake later and make my way way to the kitchen so I can put the second half of my sandwich in the chaotic refrigerator. Where I left the sandwich there is only bits of lettuce and onions on half a Subway wrapper. I walk into my son’s room and tell him about my missing friend — a six-inch carved turkey sandwich. He knows nothing about it. I remember in my younger days eating my father’s unguarded food found in the family refrigerator. I remember how he eventually resigned himself to these events. Maybe he knew then that the best revenge was generational. This entry was posted in food, Humor, Uncategorized on May 13, 2016 by ricksamer66. This entry was posted in Uncategorized on February 21, 2016 by ricksamer66. Mid-day meditation sinks to nap while cars outside sound like soft ocean waves lapping along sandy tropical coast. This entry was posted in Uncategorized on February 5, 2016 by ricksamer66. All set to get Unsophisticated ? Ministry news, updates and more!